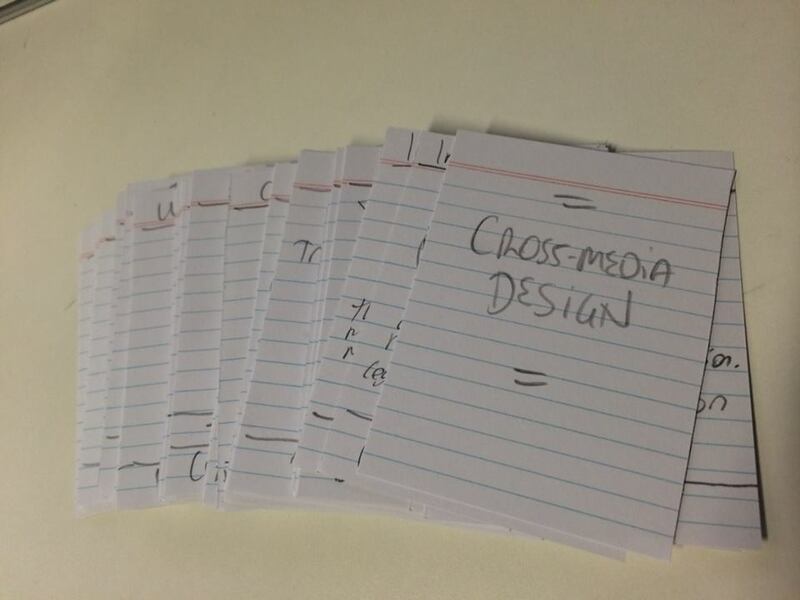 A card game currently in development. 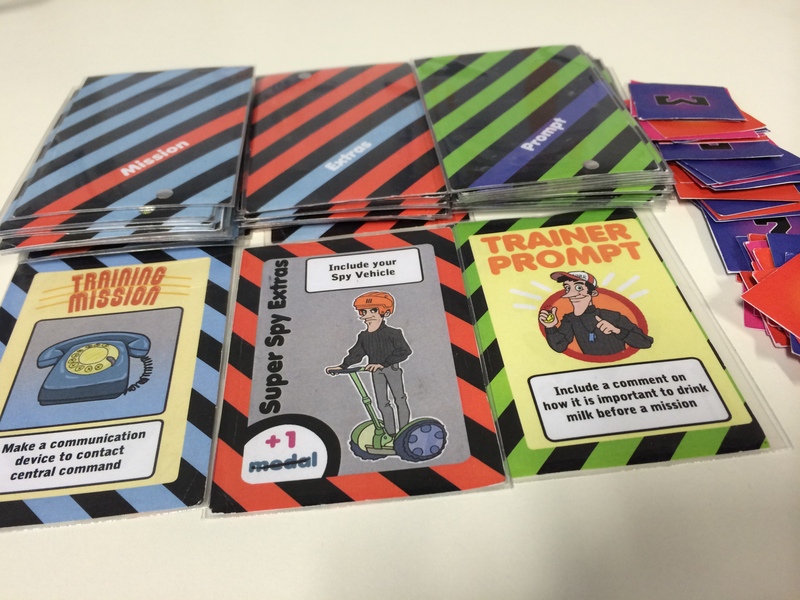 Boss Bluff is a social deduction game with shifting alliances. You’re at a tense dinner where Under Bosses give speeches professing their loyalty to each other. Be the best at determining who is betraying you and you’ll triumph as the Big Boss. It is for 4 players, and play time is about 90 mins. 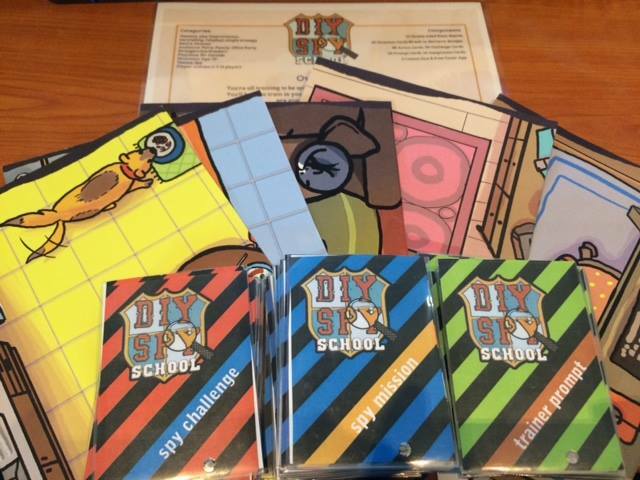 DIY SPY is an improvisational storytelling party game for 3-18+ players. Players are carrying out cooperative mission scenarios in different rooms of your house of office, using whatever objects are around. 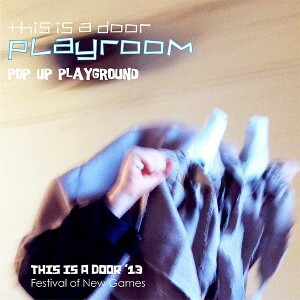 The live festival version of the game debuted at Australia’s street gaming festival Pop Up Playground’s 2013 This Is A Door in Melbourne. 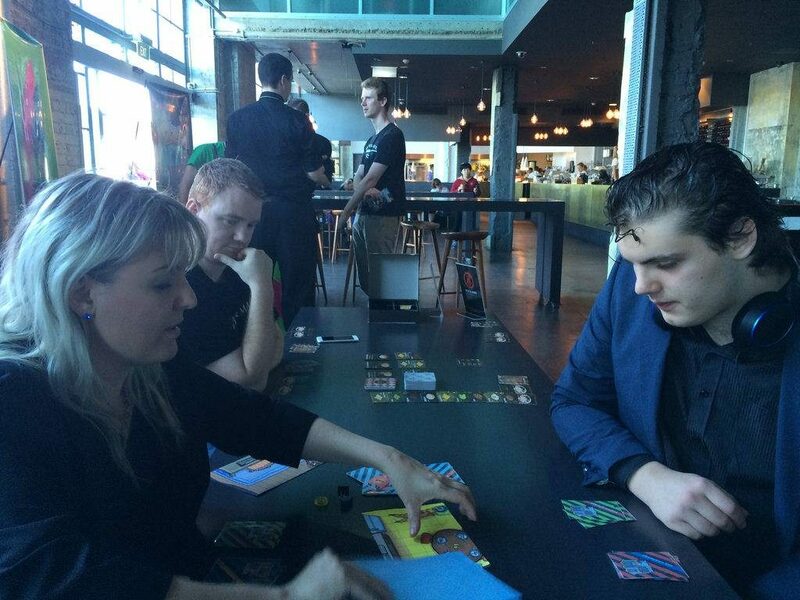 The boardgame version was exhibited at the GO423 Popup Exhibition at The Powerhouse for the Brisbane International Game Developers’ Association event in August, 2016. It was originally conceived as a game that combines digital and live play, continuing my design interest in pervasive games. The original idea: in 5 minutes you use anything available to fulfill your missions and train to be a spy. I then adapted the format to be completely live and for over 18+ players and last about 50mins. 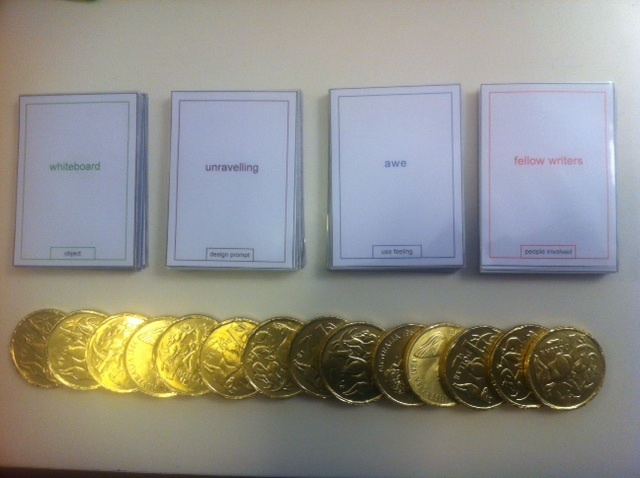 I developed a festival version, and am developing a boardgame version. I came up with the original idea in response to the 22Jams prompt of “make a game where you must be standing in order to play”. I didn’t have the time to create the game for the Jam, but the game stuck with me. Harry Lee of Wanderlands (who recently released their award-winning game Stickets), put out a call for collaborators on game projects. I took my game to Harry and he jumped on board encouraging the game to go ahead. We playtested the game at Harry’s Glitchmark game design event. I’ve since playtested versions at Popup Playground, JunkJam #2, Playtest Saturday Afternoon in Melbourne; the GO423 Popup Exhibition at The Powerhouse in Brisbane; various homes and office buildings; a playtest event for IGDA Brisbane; with interaction design and writing students at QUT; colleagues at SAE Media Institute; players at the Boardgames & Beers Meetup (Brisbane); participants at Forward Slash Story; with design feedback from Lorraine Hopping Egan and Matt Parkes (designer of Burger Up). 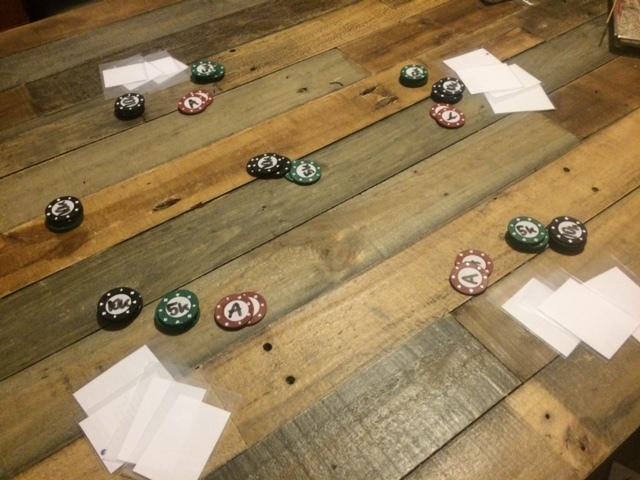 The name of the game was developed with contributors in the Card and Board Game Designers Guild. It is a super fun game where everyone entertains each other. 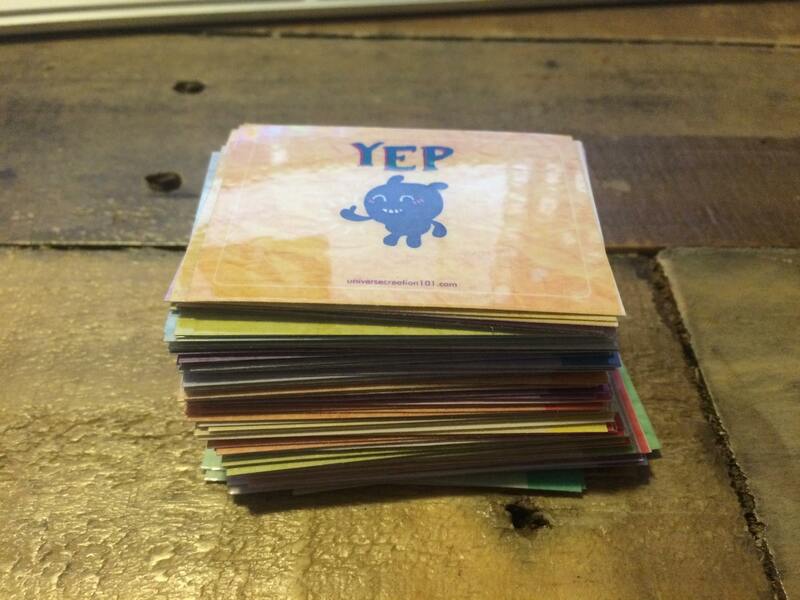 It works as an ice-breaker game, team-bonding game, and just as a party game with mates.